Flowers I won’t invite back next year. I had loads of trouble with Zinnias. Something really likes to nibble at them…and that (or those) somethings are in large numbers. Earwigs? I have lost the battle to save the Zinnias and three large beds capitulated to the critter. Also I’m not sure I like Zinnias as much as I thought I did. They are very stiff…sort of unrelaxed and don’t really fit into the chilled ethos of The Higgledy Garden. Though they are super productive, a very much cut and come again. …Ok I might just do one Zinnia bed next year and they will be a tall variety. 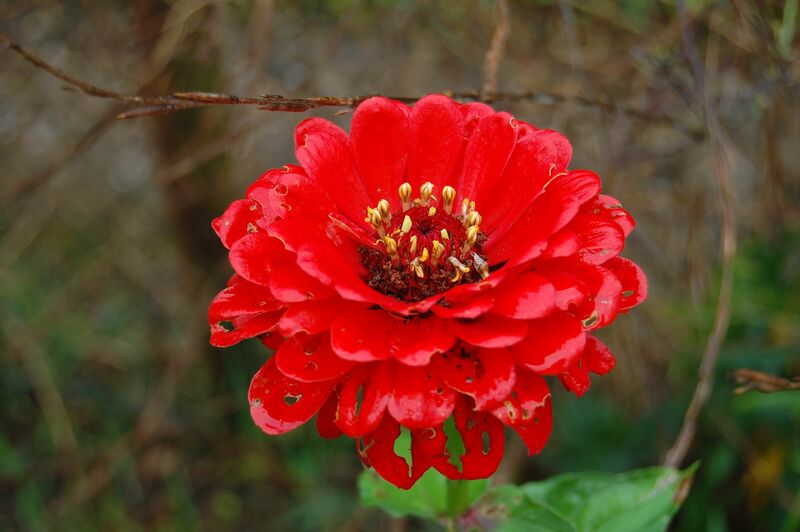 That was the other Zinnia issue, most were too short for sale. Lovely colours though. 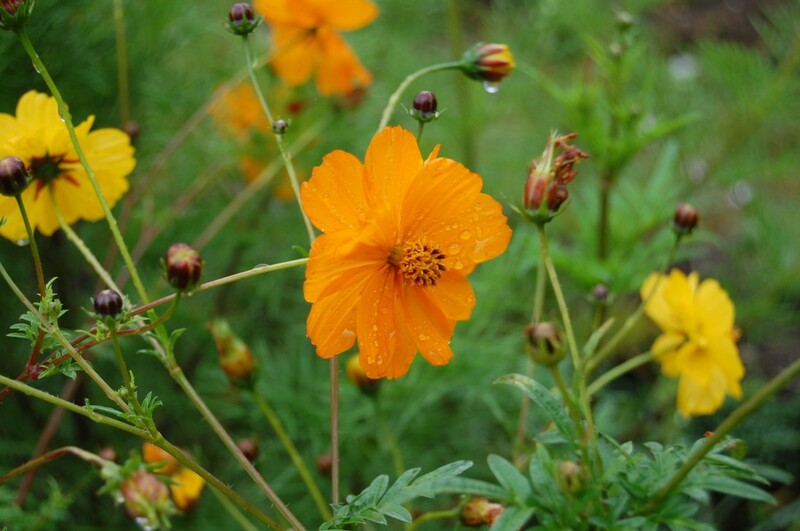 Although I really the love the colour of Cosmos ‘Bright Lights’, the stems have to be seared in order to make them last well in the vase. Quite frankly it’s a job I can do without, I have enough trouble getting everything done without that extra hastle…same goes for bupleurium and poppies…off with their heads! 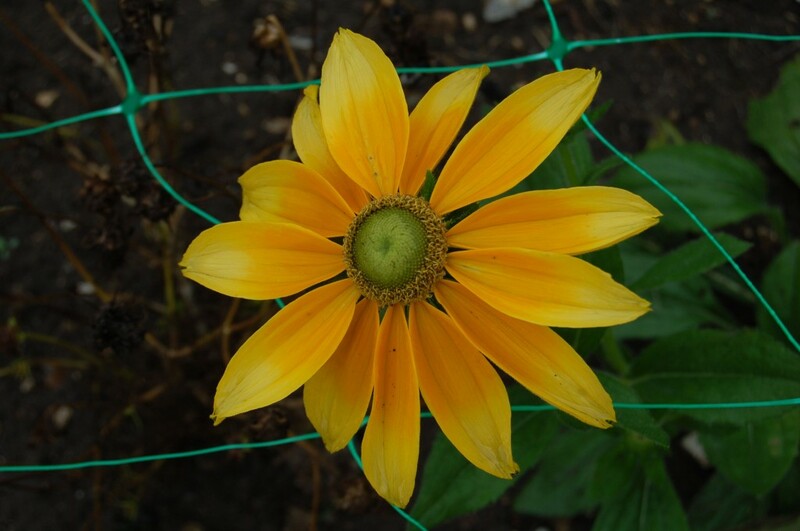 Rudbekia ‘Prairie Sun’…ouch…I’m really on the fence about this one. I love it for it’s wonderful vibe…it’s so ‘up and atcha’ but just a little bit too short for my clients…maybe if I gave it a richer soil it might grow a little taller before flowering. Did anyone else grow it this year? 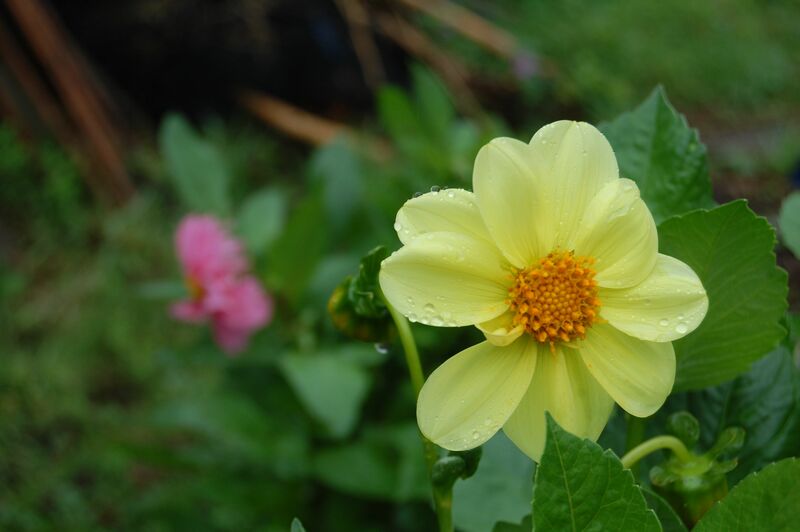 Yellow annual Dahlias…yuk…remind me of badly rundown old people’s homes. I think these came from a packet of mixed ‘Disco Dancers’..the other groovers at the disco were fine…but this one was defo going home alone. I had trouble with the ‘Purple Prince’ Zinnias too. I ended up with three sickly plants which did flower but they were pink. I did like it though. There’s an article in this months ‘Garden Illustrated’ about Zinnias, I’ll read and decide if I want to have another go next year. Thanks Gill…I’ll read that….gald I’m not alone in Zinnia trouble…they have a reputation for being one of the easiest plants to grow! i’ve tried growing Zinnias after seeing them looking fantastic in allotments in France, – but I had trouble germinating them this year (damping off when they did) – and so did Sarah Raven as my order was cancelled. – I got 3 to flowering stage, they were meant to be purple, but they look darn pink to me – didn’t get enough for the earwigs to munch on. I haven’t had problems with zinnias, but some have come out a vile dowdy pink, like a blushing surgical beige, eeek! and I agree they are stiff and cardboardy, tho it is v fashionable to find them retro chic/charming. Can’t get into them.